kickBack is social media for shopping - it’s the "referrals for everything" app. 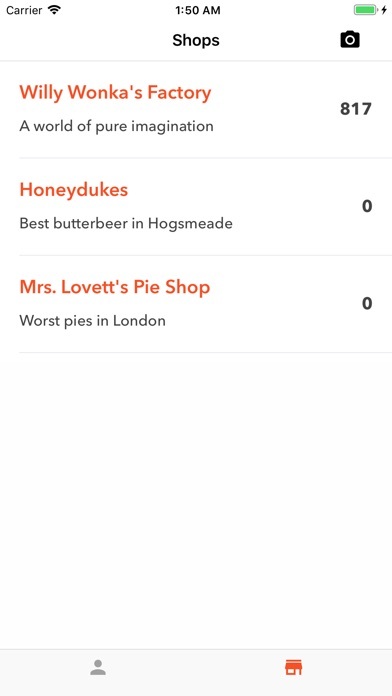 kickBack lets you refer your friends to your favorite coffee shops, salons, donut stores - you name it. kickBack aims to fix the problem we all too often have of forgetting “that restaurant around here my friend told me about” or “the place my friend went with her family last weekend”. Every shop on kickBack has a rewards program where users can conveniently collect and spend points. In addition to collecting points from purchases, users are rewarded for referring their friends in the form of “kickbacks”. A kickback is a referral bonus worth the amount of points your referred friends collect on their purchases. 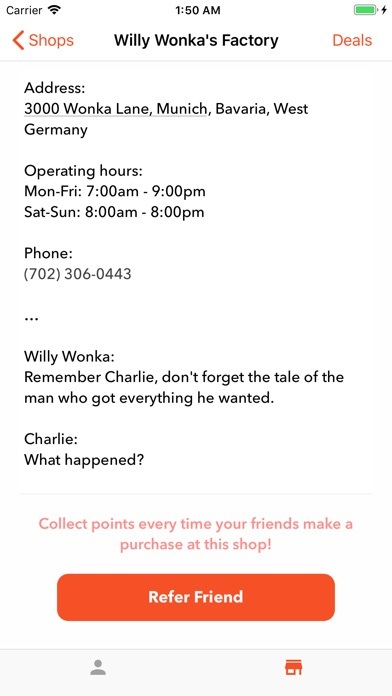 For (fictional) example, if you refer your friend Veruca to Willy Wonka’s Chocolate Factory, you collect points every time she purchases a Wonka bar! kickBack is the easiest platform for referring your friends to a particular shop. 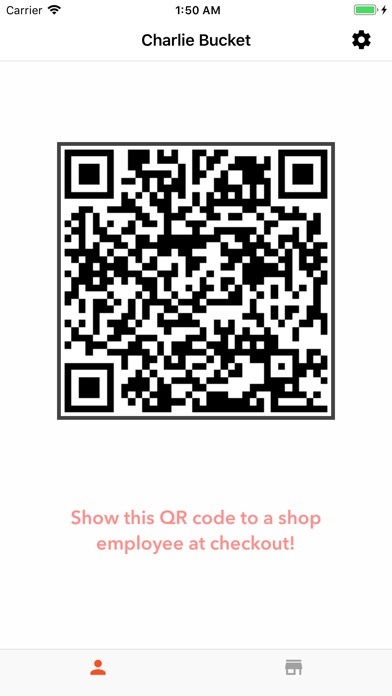 All you need to do is tap on the “Refer friend” button in the shop’s profile and send them the referral over text or any other app. Enabling notifications lets you know when a friend accepts your referral or when a friend earns you a referral bonus. kickBack has launched with only a few select shops on the platform. Wide-scale rollout coming soon!